This week’s ongoing exploration of the sacred writings that comprise our Bibles looks at the overall Hebrew Bible (known by many Christians as the “old testament”). The ancient writings of the Hebrew people are commonly divided into three sections: the Torah (sometimes called the Pentateuch); the Prophets; and the Wisdom Literature. Centered in many ways on the book of Exodus (indeed, its authorship is traditionally attributed to Moses), the Torah is the central foundation of the Hebrew people as it combines sacred narrative and sacred law. The Prophets, divided into sections of former prophets and latter prophets, moves forward in time to tell the history from the time of arrival in the promised land to the Babylonian exile. 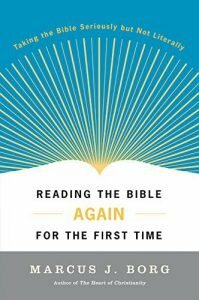 Finally, the Wisdom Literature effectively “zooms in” from the previous broad cultural histories into individual stories and practical questions about how to live and why. 1Now a man from Levi’s household married a Levite woman. 2The woman became pregnant and gave birth to a son. She saw that the baby was healthy and beautiful, so she hid him for three months. 3When she couldn’t hide him any longer, she took a reed basket and sealed it up with black tar. She put the child in the basket and set the basket among the reeds at the riverbank. 4The baby’s older sister stood watch nearby to see what would happen to him. What have you been taught about the Hebrew Bible (or “old testament”) and it’s place in the Christian tradition? What are your favorite stories from these writings? What characters stand out to you? Where do you see God most active? Why? How do you apply these ancient stories to your life today? How do you experience God through them? With the Pentateuch being the central identifying story of the Hebrew Bible, we explored the Genesis stories from Abraham and Sarah through Joseph’s journey to power in Egypt. Then we recounted the Exodus story and the subsequent Hebrew journey through the desert. Throughout it all, we considered the overarching theme of promise and fulfillment. God entered into Covenant with God’s people, and – in spite of various obstacles – fulfilled God’s promise. The Exodus story and the Prophets also included strong themes of social justice shown in radical protest of oppressive empire. It is good that we explored issues of social justice on the weekend when we also celebrated the Rev. Dr. Martin Luther King, Jr. Issues of race continue to tarnish the beauty of God’s diverse creation, and Dr. King’s dream has not yet been fully realized. With a theme of promise and fulfillment in these ancient stories, how do you understand God’s promise to the early Hebrew people? How do you understand God’s promise to people of faith today? In the Exodus story’s strong critique of the oppressiveness of empire, have you understood this to be a message of social justice? How was this message understood in the time of the Exodus? How has this message resonated in more recent history? How can it be understood today? Limited time was given to the Wisdom writings, both in the sermon and in this follow-up. If we understand these texts as noted in the sermon as writings “grounded in observation of and reflection upon human experience,” how might this affect the way you read these books of the Hebrew Bible?